Microsoft: Think back to the early days of the Internet. Chances are, you used a search engine like you might previously have used a phone book: To find a specific piece of information, such as a website, address or phone number. 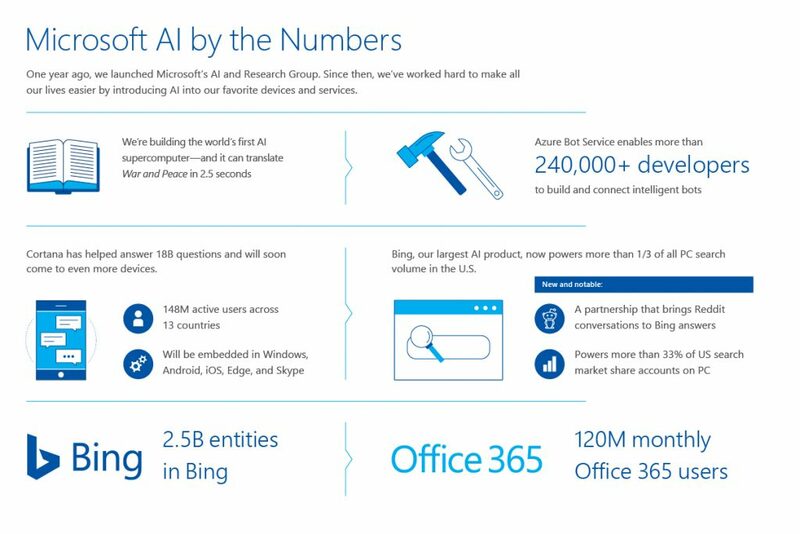 These offerings, which build on the progress Microsoft has made in the past year in integrating AI across its product line, are the most recent examples of how engineers and computer scientists are using AI to help people do much more than just classify information. Jordi Ribas, Microsoft’s corporate vice president in charge of AI products, noted that when people think of AI, they often think of robots or AI-powered vehicles. What many people don’t realize is that AI also is having a tangible, useful impact on most people’s day-to-day lives, through products like search or Office 365 that they use every day.